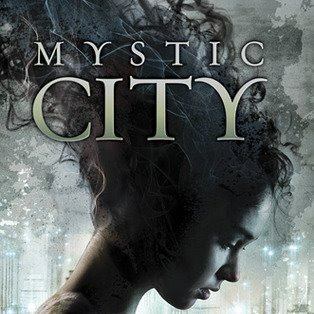 Aria Rose, youngest scion of one of Mystic City’s two ruling rival families, finds herself betrothed to Thomas Foster, the son of her parents’ sworn enemies. The union of the two will end the generations-long political feud—and unite all those living in the Aeries, the privileged upper reaches of the city, against the banished mystics who dwell below in the Depths. But Aria doesn’t remember falling in love with Thomas; in fact, she wakes one day with huge gaps in her memory. And she can’t conceive why her parents would have agreed to unite with the Fosters in the first place. Only when Aria meets Hunter, a gorgeous rebel mystic from the Depths, does she start to have glimmers of recollection—and to understand that he holds the key to unlocking her past. The choices she makes can save or doom the city—including herself.